Destination Moon - a swing trio born out of the love for the retro, chic, cool of 30s, 40s and 50s jazz. 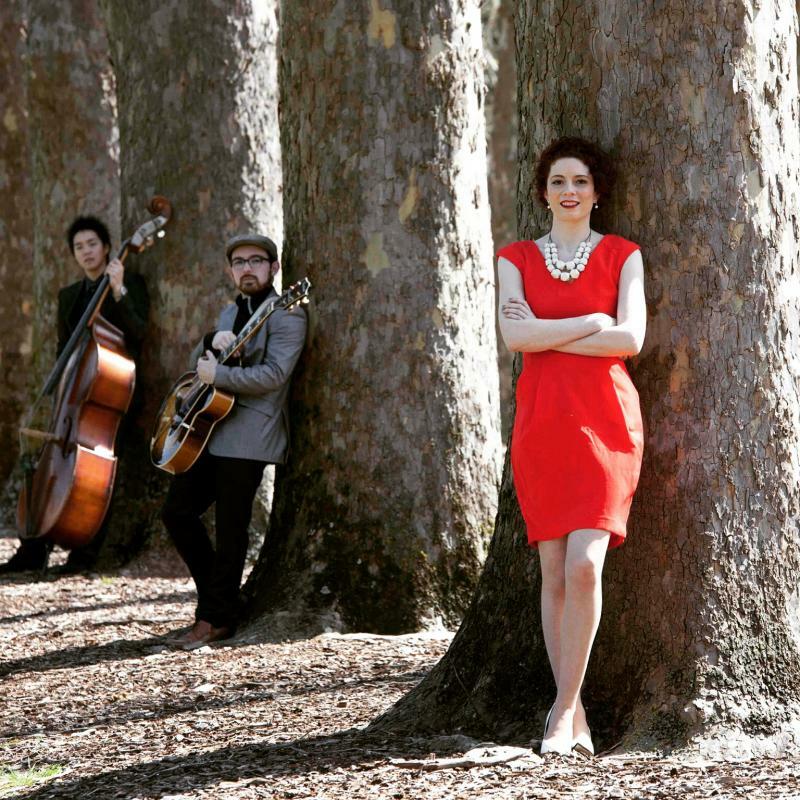 With the conviction and dynamics of vocalist Jennifer Salisbury, the tenacity and experience of guitarist Adrian Whyte and the hard swinging virtuosity of whiz kid double bassist Hiroki Hoshino, any venue can become a smokey 40's jazz club or a swinging 50's bar. If you are looking for a cool vibe for a party, function or wedding, Destination Moon will rocket you back in time and forward in class. Can’t find what you’re looking for? Destination Moon are happy to incorporate songs that are meaningful to you for your special event. Destination Moon also perform vintage swing Christmas carols for the festive season.
" It was lovely to have your band perform at our tasting. The team and customers thoroughly enjoyed your fabulous music - it definitely complimented the tasting perfectly. We wish your band all the best for the future and would love to have you perform again with us! All the best - PW"